Differentiation takes courage. A lot of courage. Doing things differently. Shunning the best practices taught on stage by marketing ‘gurus’ and written about in marketing blogs and books. Deciding to shift from the marketing patterns you see brands, new and old, pursuing each and every day. It takes courage. Naturally, we all wish we knew the refined business model or the market where we can trigger growth from the outset. But we don’t. We can’t. It takes courage to make that change. That change isn’t the acknowledge of a fault. It’s the recognition of an opportunity that exists. Honing your focus upon one particular marketplace or limiting your product line? They’re moves that often bring about economic reward both short and long-term. Differentiation is about drawing in attention (not drawing attention). Reducing the gap between your brand and your customer. It allows for clarity. Now you can speak to your customer, through your website, in a more resolute fashion. You know what your customer is looking for (it’s the reason they buy what they buy). That offers you a new found freedom. You’re no longer talking in a generic language. Now, you communicate in a common language. That impacts your success across all acquisition channels. But still, it takes courage. There’s the misconception that the wider the reach the greater the opportunity. Maybe in years gone past that was true. Not now. Instead, now, you stick resolutely to your guns. An unwavering focus on your audience, your niche, that creates a gap within the market for you to fill. Differentiation is the act of distinguishing your brand from those that compete within your marketplace. That act is far easier, far more palatable to carry out when it’s your marketing rulebook you tear up, rather than your product blueprint. Often, the true art of differentiation sees the product remain the same. It’s the message that supports that product you reframe. Differentiation is a practice of refinement that will bring you closer to your customer. That’s a fundamental aspect of any decision you make regarding your business model or your marketing message. What can you do to bring cohesion to your customer relationships? 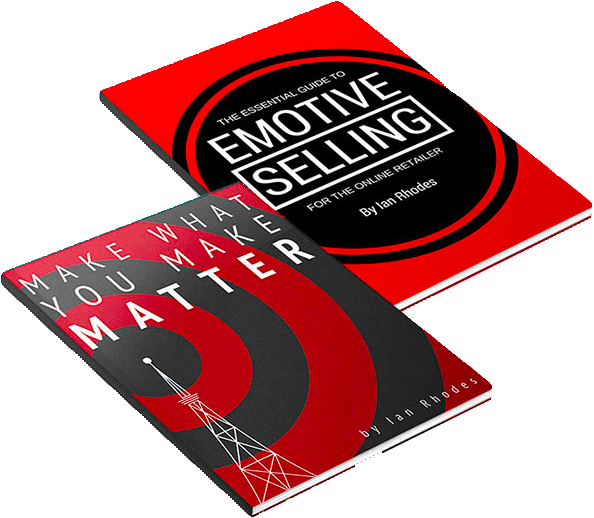 How can you make it easier for people to buy into you? To consider change you need to, firstly, give yourself space to review. Do you see particular categories or products far exceeding the success you expected from more obvious products? Are their gaps you’re already filling within your market that can allow you to grow market size (not just market share)? Can you shape your business based on the trends you now witness, that you didn’t expect months or years ago? Take a breather from the day to day and begin to consider and spot those trends within your own space. To do differently, both in your market and within your business, does require courage. To shift or redefine your focus. That courage will, when based on more than a hunch, be rewarded.